History and Vision - Bridge the Gap International, Inc.
BGI began in 1993 as a dream in the hearts of Randy Loescher and a few other students at Oral Roberts University. As students, each recognized a niche that was not being filled in non-denominational settings — a service organization that focused on one goal: serving the visions of missionaries and non-profit ministries worldwide. For those who were not connected with a church denomination or a missions sending organization, finding someone who could handle their donation processing and stateside affairs while they were out of the country proved difficult. During the first few years, BGI handled fewer than five ministries while learning how to provide quality services to their clients. Since that time, they have grown to a place where they are now servicing more than fifty ministers and missionaries. To relieve ministers and missionaries of some of their administrative “headaches,” thereby freeing them up to focus on the ministry they are passionate about. 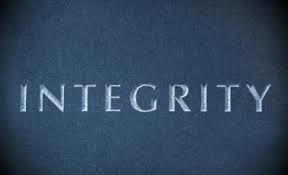 And, to provide our services with the utmost character and integrity.